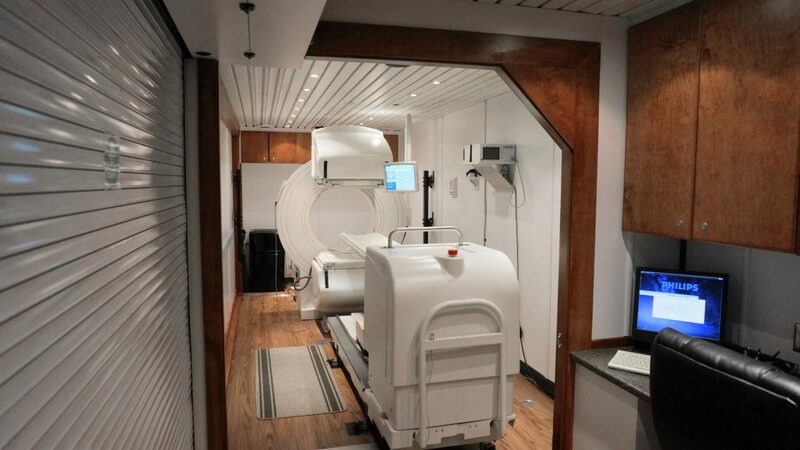 Our mobile nuclear imaging company’s mission is to increase access to nuclear medicine for people everywhere. We do this through equipment leasing, which is essentially transporting the latest technology and equipment to the hospitals and clinics that need it most in the Front Range. We strive to pursue excellence and professionalism in all we do, as well as push nuclear medicine to the highest possible standards. Integrity: We promise to be honest in all of our interactions. We know our success stems from our adherence to the highest ethical standards. Excellence: Our passion for continuous improvement is what has pushed us to the next level. Each of our actions is based on facts and feedback. Quality: Our customers don’t just request quality — they require it. With outstanding quality and service, we demonstrate our commitment to the well-being of our community. We support every employee and client seeking to find better tools and methods. We strongly believe these factors combine to allow Front Range Nuclear Services to succeed. From building lasting customer relationships to promoting a culture of learning and growth, we know our actions have a direct impact on everyone around us. We look forward to making a positive impact on you. Contact our team today to learn more about our leasing options, as well as to see how we may be able to assist your business. Innovation is our work, but quality service is our passion. We’ll talk to you soon.